Over 200 treasures from Ancient Egyptian times have been excavated from the Mediterranean Sea and will be on display at a six-month exhibition in the British Museum, beginning on May 19. 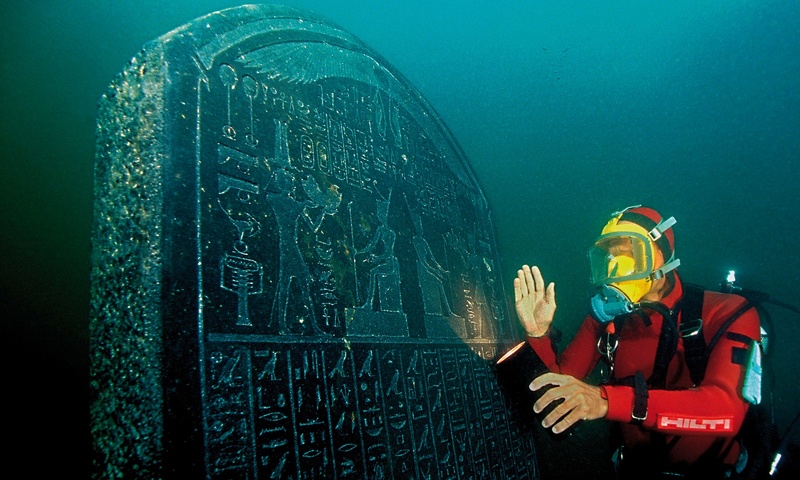 The exhibition, entitled “Sunken Cities: Egypt’s Lost Worlds” will showcase a variety of artifacts and relics to tell the story of Thonis-Heracleion and Canopus, which saw the intertwining of various world cultures, particularly as they served as hubs of international trade. The two cities were founded around the 8th century BC and “knew glorious times as the obligatory point of entry to Egypt for all ships coming from the Greek world” prior to the founding of Alexandria, according to Franck Goddio, an underwater archaeologist who discovered the two cities. However, they suddenly sank to the depths of the Mediterranean Sea around the 8th century AD due to unknown reasons but a popular theory holds that a massive earthquake caused the ground on which the cities were built to liquefy. Now, the site of the underwater cities is “sort of like an underwater Pompeii” but is about four times larger than the ancient Roman city, Goddio said. Excavations began more than 15 years ago off the coast of Alexandria, where relics from the ancient cities have been buried underwater – perfectly preserved – for more than 1,000 years. “There is perhaps centuries of work before we have examined everything,” the Independent quoted Goddio as saying. The Egyptian authorities will be lending some of the excavated treasures, in addition to other artefacts, to the museum for the purpose of the exhibition, which stands as the country’s first major loan of antiquities since the 2011 revolution. Among the sunken treasures that have been recovered is a 6-ton statue of Hapy, the Egyptian god associated with the annual flooding of the Nile, as well as a headless statue of Arsinoe II, who was a queen during the Ptolemaic dynasty.